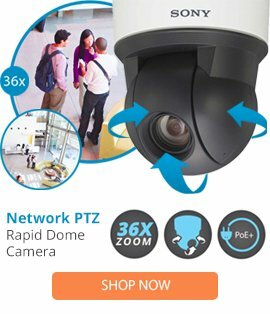 The PS20-24 is a medium duty security scanner from Pelco which has been developed to minimise the amount of fixed camera numbers in indoor or outdoor locations. The PS20-24 security scanner comes with auto/random scan operation, a 24VAC power input, magnetic limit stops, plus meets NEMA Type 4 standards, and scans past 360 degrees. The PS20-24 surveillance scanner also features three speed settings, an inverted or upright operation, operates a maximum load of 35lbs, as well as eliminating blind spots. This quality medium duty scanner has a high reliability as it does not include adjustable worm gears, a gear head on the motor or chain that requires lubrication, and is a completely sealed device with a smooth quiet operation.